The holidays may have come and gone, but that doesn’t mean travel season has stopped. With the new year brings fun new trips and this gal has learned a thing or two when it comes to packing for trips. 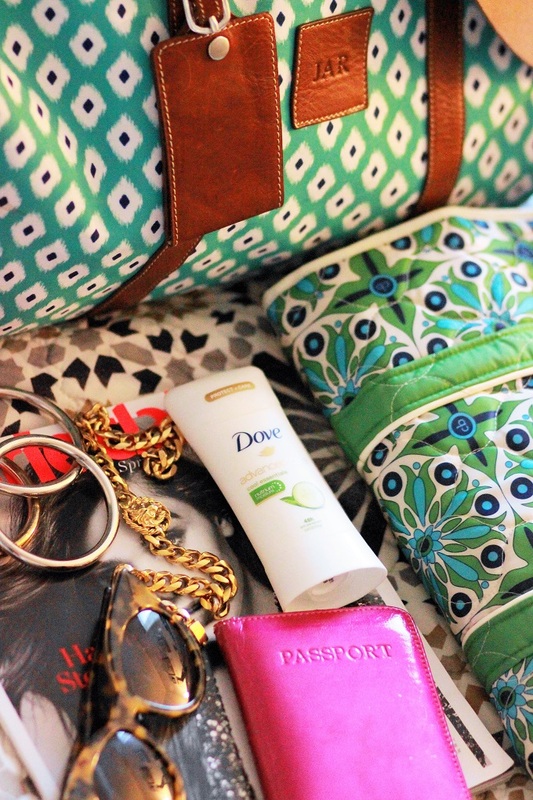 Raise your hand if you are guilty of packing WAY too much or not enough?! Ahem, right here (especially on the too much side). 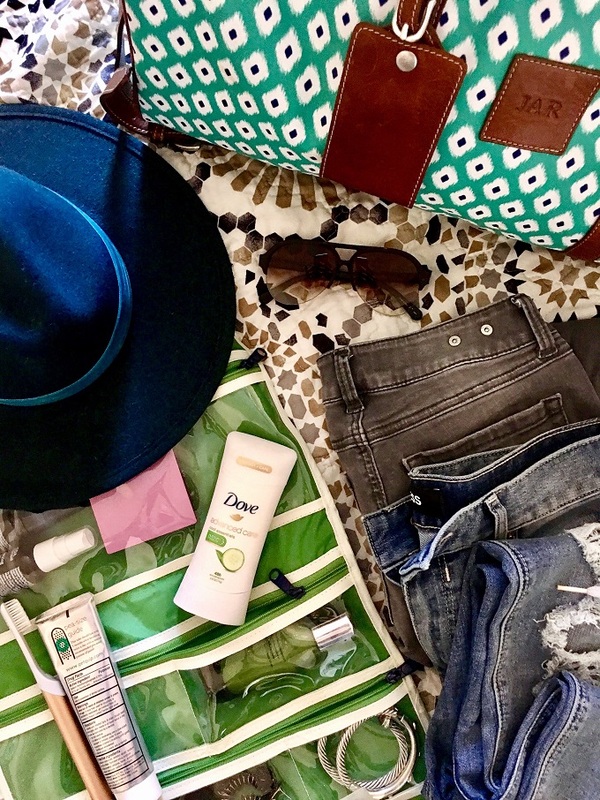 Luckily for y’all, and myself for that matter, Dove has come to the rescue and has some awesome travel beauty tips from an expert that knows more than a thing or two when it comes to the beauty department: Dove Dermatologist Dr. Alicia Barba. 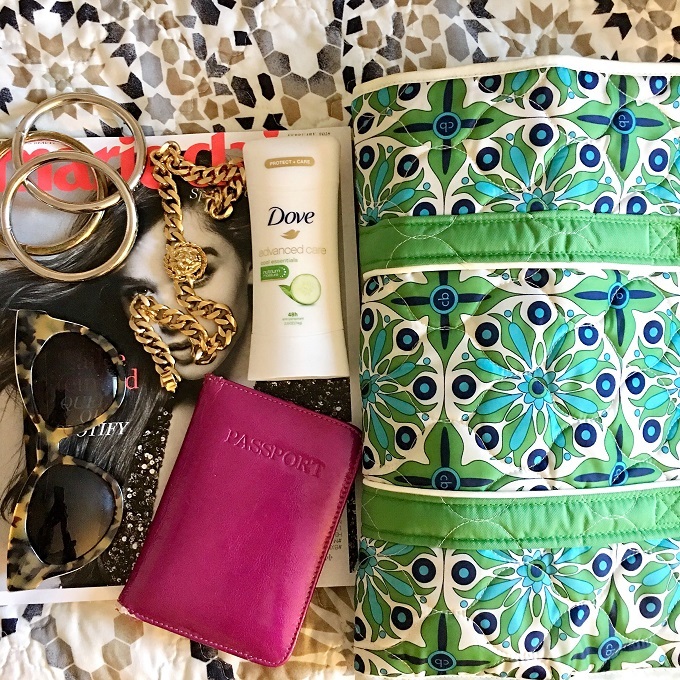 Read on for some beauty travel tips from yours truly, as well as Dr. Barba, that will have you looking AND feeling your best. 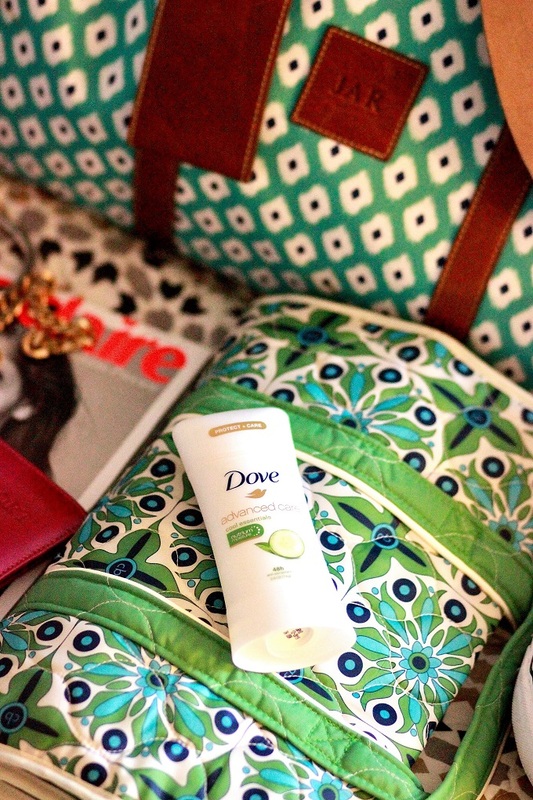 When it comes to security, no need to fret when packing your beauty essentials. If you can’t find your fave beauty products in travel-size options, consider reusing containers of past sample size products. Dr. Barba even suggests using an old contact case or eye dropper to carry creams on short trips. Genius! When traveling long distances (especially when in flight), a must-have in the beauty department for travel is a great antiperspirant. 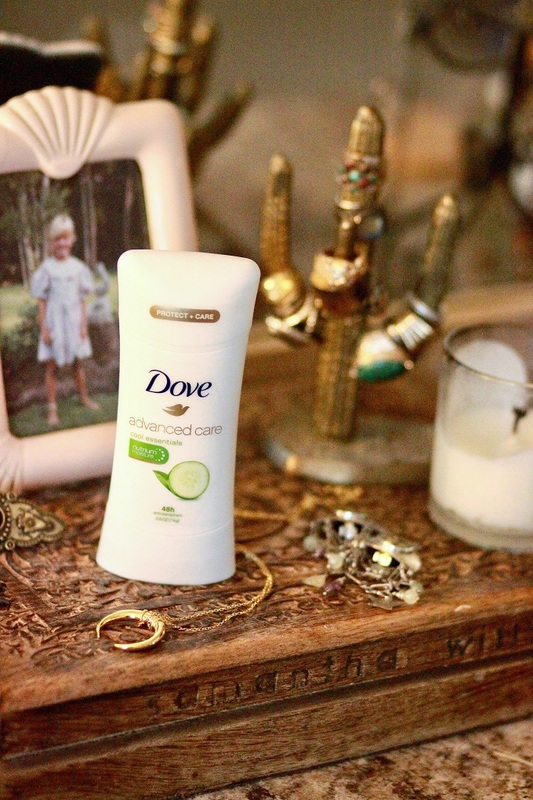 Dove Advanced Care Antiperspirant has been a fave of mine for quite some time. Not only does it keep me fresh all day, thus keeping me confident no matter where my day takes me, but it also is super gentle on my skin. It keeps me dry AND cares for my skin. What’s not to love? I’ve used Dove products for years and I can always count on them being good for my skin, never harsh or irritating. For cold winter months, its especially important not to neglect our underarms. That skin is super sensitive and can be easily irritated with harsh textures and fabrics found in sweaters and even t-shirts. 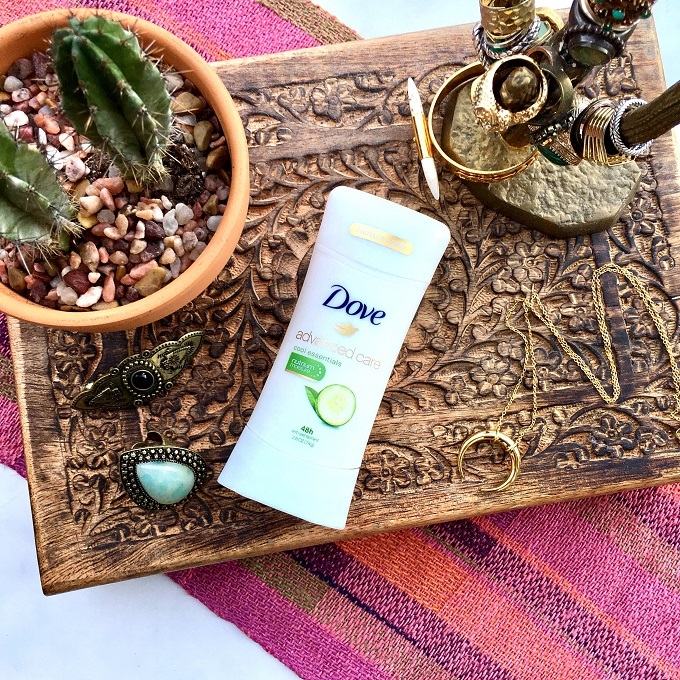 One product I can count on to keep my skin hydrated and protected is Dove Advanced Care Antiperspirant. It’s formulated with moisturizers to help treat and prevent underarm irritation, leaving skin soft and smooth Speaking of irritation. One of Dr. Alicia Barba’s beauty tips is to cut back on intense exfoliation. Yes, exfoliation can be great for our skin, but many of us over-exfoliate, leaving our skin more prone to breakouts because we’ve stripped out skin from its essential oils. Instead of dehydrating our skin, Dr. Barba suggests investing in a hydrating cleanser. For travel, especially post flight, Dr. Barba suggests washing the face with a cold wash cloth (or ice even) to reduce inflammation and refresh dehydrated skin. Another trick for maintaining hydrated skin (even when you’re stuck on an airplane for hours)? Packing face masks or sprays to rejuvenate your dehydrated skin during your flight, or prior to landing. These have been a MUST for me and have made a world of difference. My skin is easily prone to breakouts and I’ve found that doing these simple treatments during or post flights have actually prevented my skin from reacting negatively to the gross cabin atmosphere. Sure, you may have some awkward looks while wearing a mask or spritzing your face, but your skin will thank you. No matter your destination (warm or cold climate) a good SPF is a MUST. Harmful UV rays don’t hide in the colder temps, so even if you’re bundled up, Dr. Barba suggests a sunscreen for your face and any skin that you don’t have covered up. To keep your daily beauty routine at a minimum, try investing in a daily moisturizer that already contains SPF. Though SPF is important no matter your climate, there are products you’ll want to bring along that are essential depending on the climate you’re visiting. For those hot and humid temps, Dr. Barba suggests packing blotting papers and a light-weight moisturizer and/or SPF. For those colder temps, Dr. Barba suggests a lip balm, rich moisturizer, and a hydrating face mask to fight against dry, harsh air and temps. Another must-have beauty product (no matter your destination)? Vaseline! Not only can it be used to treat dry, cracked skin (lips, elbows, hands etc. ), it can also help with dreaded fly-aways (frizzy hair is never cute, y’all), work as a make-up remover, or Dr. Barba suggests using it as a highlighter (just dab on your cheekbones for instant glow). When your travel days have come to an end, Dr. Barba suggests getting into a beauty bedtime routine, and FYI bedtime is the BEST time to hydrate your skin. To fight against collagen breakdown, Dr. Barba recommends these three quick and easy steps before turning in each night: 1.) Wash your face. 2.) Apply a retinol. 3.) Moisturize. Easy enough, eh? Disclosure: This is a sponsored post written by me on behalf of Dove Advanced Care Antiperspirant.